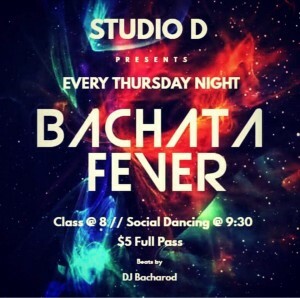 JOIN US THURSDAYS FROM 9:30 pm- midnight for BACHATA FEVER. This is a social dance event where the music is 75 percent bachata. The cost is $5.00.